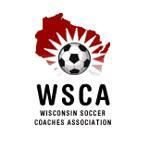 The Wisconsin Soccer Coaches Association will hold its annual convention Dec. 14 at Greenheck Field House in Weston, with University of Wisconsin women's coach Paula Wilkins among the eight presenters scheduled to cover a wide array of topics. Wilkins, who led the Badgers to a school-record 19 wins, the Big Ten Conference tournament title and the second round of the NCAA tournament this fall, will present on "Possession for a Purpose." Among the other presenters are UW men's assistant Stan Anderson, UW-Milwaukee women's assistant Dave Madsen and Waukesha Catholic Memorial girls coach John Burke, who has led the Crusaders to three straight WIAA state championships. All coaches in the state, regardless of level or affiliation, are welcome to attend. The event is free for WSCA members, while the fee for high school head coaches who are not members is $45. Registration costs $15 for non-member prep assistants and youth/club coaches. To register, email Lucas Kollross at lkollross@dce.k12.wi.us. Payments can be made the day of the event, with cash or checks payable to WSCA. 10:25 a.m. Nicholas Winkler, LAT/ATC, CSCS Stronger. Safer. Smarter. What is limiting your teams' and players' potential?